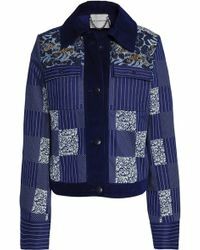 Mary Katrantzou, established in 2009, is world famous for its use of color, bold patterns and graphic prints. 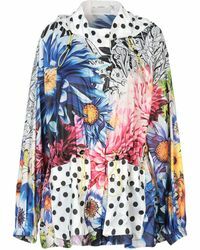 With a focus on playing with depth perception and taking influence from landscapes, nature and everyday objects, Mary Katrantzou clothing are interesting to look at while remaining stunningly beautiful. 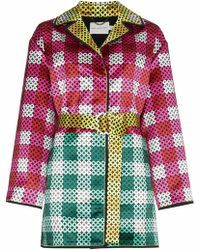 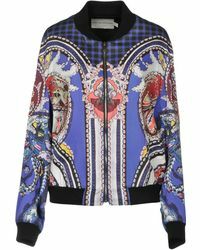 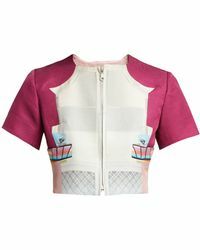 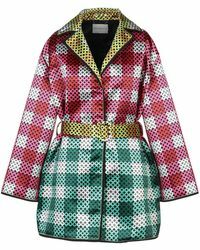 Mary Katrantzou jackets reimagine classic styles by taking traditional shapes and covering them with vibrant and detailed prints. 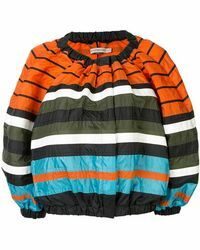 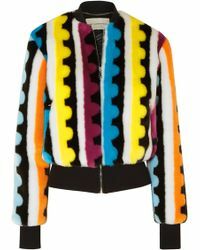 With bold colors and beautiful embellishment, any of these jackets would be a go-to statement piece in your closet.